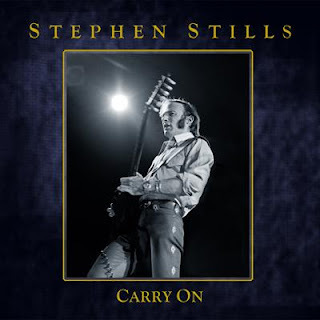 This week in the rock room I have slowly worked my way through the brand new and comprehensive Stephen Stills "Carry On" four disc box set. This five and a half hour collection represents the long, durable and diverse career of "blues man" Stills in stunning fashion. Lovingly compiled by Graham Nash and Joel Bernstein this set takes a sustained and detailed look at Stills career. 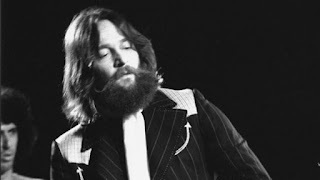 Spanning his humble beginnings in the "Au Go Go Singers" followed by stardom with the "Buffalo Springfield", right through to "CSN(Y)", "Manassas", and his extended solo catalog. What is important about this set, is that by placing this wealth of Stills music in one context you realize the power of his influence throughout popular music both as a guitar player and songwriter. Known as "Captain Manyhands" to his musical comrades, Stephen's extraordinary talents on piano, bass, drums, banjo, as well as his monumental acoustic and electric guitar abilities are all given equal exposure on this anthology. These traits are spotlighted in addition to his storytelling ability and perfect ear for production. Cumulatively, this collection reveals through its content an artist who is often underrepresented, is highly talented, outspoken, and has led a consistent and quality filled musical career. There are eighty two songs on this set covering the classics you expect to hear, but still uncovering numerous precious gems from the foundation stones of Stills career. Disc one begins with a never before heard track of a Stills original called "Travelin" recorded in 1962. A bushy tailed and clear throated Stephen sings with the enthusiasm of a young folkie. Similar to an early Dylan recording in regards to feel and era, this track is a special introduction to Stills sprawling career. The introductory disc covers the aforementioned first recorded song, through the "Deja Vu" era of CSNY, somewhere 1970. Included are the well known "Buffalo Springfield" and "CSN" classics, in spectacular fidelity like "Bluebird", "For What It's Worth"," "Helplessly Hoping", "Carry On" and numerous others. But the real magic on disc one lies in the unreleased tracks, "Who Ran Away", "49 Reasons", and a Stills version of "The Lee Shore". Intamate, forward thinking and unique these "demo" versions find Stills mining gold from his earthy creative veins. Experimenting with other worldly backwards guitar tracks, tonal expressions and enchanted vocal melodies that would come to full fruition in Crosby Stills and Nash. The song order on this first disc hits me with song after song that is just a towering standard in the annals of rock. Moments to note occur in numerous rich clusters. Stills boogie bass in "Suite: Judy Blue Eyes", his fuzzy neck slides during the intro to "Questions", and the fireside vocal expression of "4 and 20". Stephen's life long love of Latin rhythms starts to seep out by the end on disc one and is fully mature by his "Manassas" tenure. If you are a fan, you've heard them before,just not in this context of a career, which lends a new focus. In addition to the impressive liner notes, there is a plethora of beautifully rare pictures. The disc closes uniquely with an alternate mix of "Carry On", and the studio version "Woodstock". Disc two starts with Stills first solo excursion and his biggest hit "Love the One You With", and what follows is a musical map that ends with "Manassas" just prior to Stills self titled 1975 LP. Stephen's collaboration with Jimi Hendrix is represented by "Old Times Good Times", and a previously unreleased "No Name Jam" which contains some nice interplay between Stephen and Jimi. What is amazing about disc two is its diversity, finding music that spans country, blues, jazz, afro cuban, funk, created both acoustically and electrically. The segment featuring "Go Back Home", "Marianne", "My Love Is A Gentle Thing", Fishes and Scorpions", "The Treasure" and "To A Flame" is a musical ride I'd take on my hypothetical "desert island". "The Treasure" and "To A Flame" are both unreleased versions with Stills taking on most of the musical duties himself and both containing definitive vocals. Disc two is overflowing with the ringing of acoustic guitars and the husky mountain of Stills vocals, sometimes icy Colorado winds, and other times a stifling dry desert breezes. The remainder of the disc features the first "Manassas" LP and it's numerous highlights, as well a definitive version of "Find the Cost of Freedom" from a "CSNY" performance from 1971. It will crab you by the collar, shake you, and make you listen. In my opinion the song being one of Stills finest efforts, and this maybe the definitive version. There are seven rarities to be found on disc two among the commercially released tracks, again cudos to Nash and Bernstein for a well put together and well timed box. 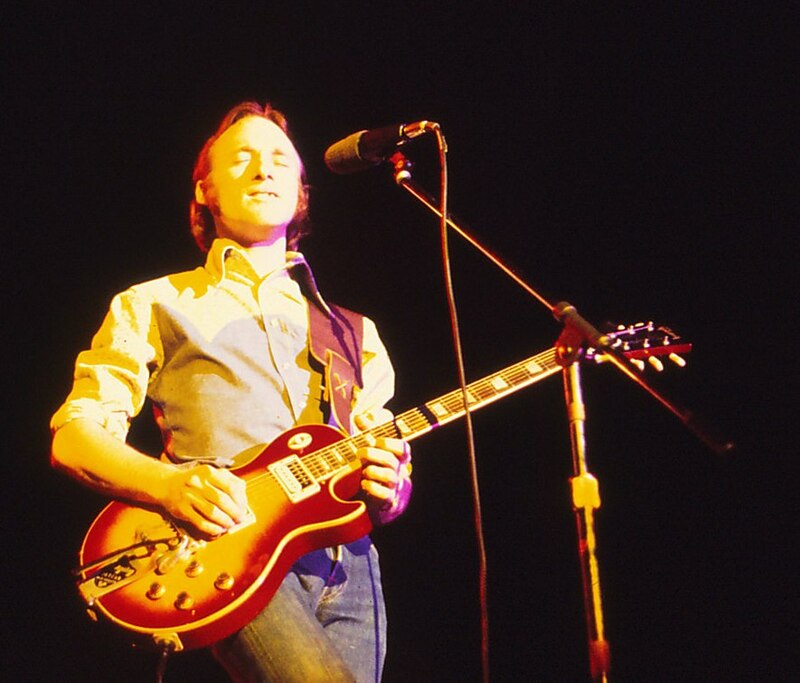 The disc concludes with a unique early version of "Sugar Babe" containing some searing white heat licks from Stephen and hailing from the "Stephen Stills 2" sessions, and finishing with the groovy stomp "Isn't It About Time". The third disc of the set features in my opinion some of the best work on the collection. While containing some less well known songs, the period from 1975's Stills through "CSN's" "Daylight Again" contains some of his most mature songs in both content and musicality. His guitar playing was reaching new heights while still expanding on his acquired career knowledge and practice. While this collection is not in perfect sequential order, the vibe is right and it does follow a "ballpark" timeline. "Turn Back the Pages" starts of the disc on a shuttering note and again the next group of songs keeps improving with every change of track. A testament to the quality control Stephen put on his music, while it did not often gain him friends, his songs were never let go in a sub par condition. Highlights of disc three are a "CSNY" version of "Black Coral",( that is everything you want it to be) a live version of "Know You Got To Run", the acoustic epic "Thoroughfare Gap and the eleven minute "Spanish Suite" which while recorded in 1979 did not see a release until 2005. If you have never heard this piece, search it out and listen a song that epitomizes the acoustic side of Stills as a writer and performer. Delicate bronzed melodies using silence as an advantage twist in a dimly lit village square, Stills sings in native tongue, his vocals even more emotive in another language. The song journeys through metamorphosing themes that mix and match, swirl and spread like a painting to a child's hand. Beautiful and memorizing. This CD exposes the most undervalued era of Stills career covering the era around the LP's "Stills"," Illegal Stills"(not represented), "Long May You Run" (w/Neil Young), and Thoroughfare Gap". There is a nice representation of the era's strongest music, as well as more than a couple of rarities. One gripe is that my personal favorite "Myth of Sisyphus" did not make the cut. Oh well, cant win them all. (as well as the absent "Hung Upside Down on disc one!). The disc closes with a triad of Stills most powerful second era "CSN" songs and a fitting precursor to the conclusion of the set. Disc four blends in with the ending of disc three beautifully as the final disc begins with the glorious and justifiably famous "Southern Cross", moving swiftly into a twinkling and steamy live version of "Dark Star". An interesting surprise is the unreleased "Welfare Blues" which nestles nicely in with familiar songs on the disc, it spotlights Stephen alone with electric guitar. A nice sampling of the 1991 album "Stills Alone" makes up the core of the disc which is fine, because it finds Stills in perhaps his finest late era voice, and his acoustic picking had never been stronger. Mixed into this run of tunes midway through the disc is a personal favorite of mine, "Haven't We Lost Enough", as well as the ornate decorated arch that is "The Heart's Gate" from 2005's "Man Alive". "I Don't Get It" is a funky chunky reggae that smolders like a stubbed joint, and makes a welcome appearance here. The collection closes with a late era sampling of Stills recent work featuring songs like, "Feed the People"," No Tears Left", and a soulful live version of "Ol Man Trouble" that sums up Stephen's later output. Stills slippery serpent guitar slithers its way across the songs on disc four, keeping with the high standard of unique effects and melodic playing that is a hallmark of his career. A heavy line up of tunes, and representative of the the consistent strength of the track listing of the box. Stephen is still to this day a mountain spring of melody and creativity, and his vibrato guitar lines continue to kinetically hum with youth like a foaming torrent across sun kissed stones. The Stills "Carry On" set will be in the rock room rotation for the next few weeks, and is a welcome addition to any rock collection. The multitude of diverse musical examples and exemplary playing is no surprise to me, but in the context of the set, it makes me all the more aware of Stills important contributions to guitar and songwriting. Also, the set is a gentle reminder of how many definitive songs he is responsible for! From acoustic blues, to Latin, to psychedelic rock, and delicate three part harmonies, this anthology has it all, quality and quantity. The Crosby and Nash editions of similar formats are also well worth the search, having come out in 2006 and 2009 respectively. I hope this collection inspires new fans to dig in deeper to Stills work, and encourages old fans to take a second look at songs that we may have taken for granted. I must buy this,I wanna here the Jam with Hendrix!!! My favorite Stills is the SUPER SESSIONS with Al Cooper and Mike Bloomfield!!! Awesome version of "Season of the Witch!!! !